Titanfall Collector's Edition ~ $250!!!!!!! 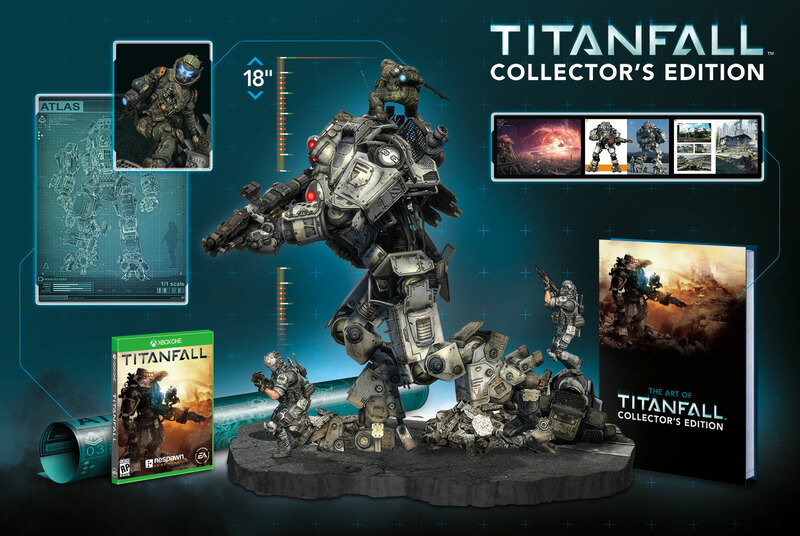 Titanfall Collector's Edition, available 3/11/2014 for Xbox One, 360 and PC on for $249.99! It will be $100 within the year. Never understood the point of a mech that needs to use a hand to hold a gun. Just mount a gun to a hard point on the arm. Anyone who buys this at the $250 price is batshit insane. And it would still be a waste of money at that price. Going to make a mad profit on eBay with them! As cool as the "diorama" is, $250 for this edition is insane! This game is one of the next-gen games I'm really looking forward to, but there's no way I'll buy this Collector's Edition. Hahaha! I know what you're saying, but at the same time, if the mech had it's gun mounted to its arm, and didn't have hands, how would it pickup new weapons? It has a hand. It just has a mount point on its forearm as well. It can use the other hand to switch the mounted weapon. Or yes, it could pick up another weapon if the mounting point is damaged or something. Still, I'd want some sort of integration into the mech's AI for targeting and such. Each weapon will have different ballistics.